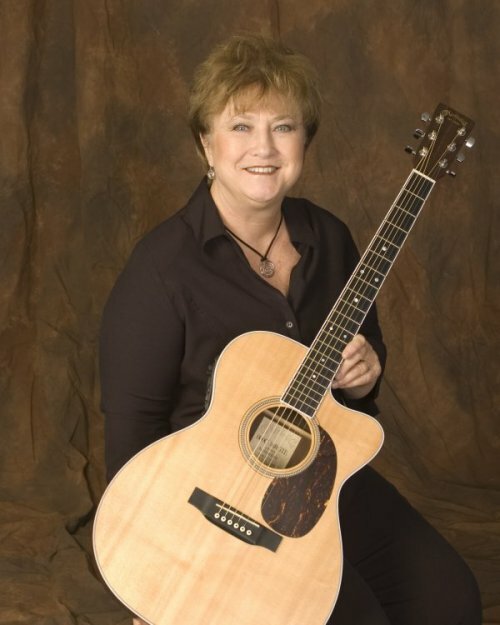 Peg Dolan's extensive repertoire ranges from traditional and contemporary Irish songs to popular hits by stars like The Eagles, and Crosby, Stills, Nash, & Young, to dozens of country and pop favorites. Peg is well-known for her resonant vocal abilities. In his review of The Missing Peace, Jamie O'Brien, of the Irish Edition, said of "the beauty of Peg's voice" that "the lyrics burst into infectious life. "Peg is an accomplished musician as well and plays six and twelve string guitars, mandolin, penny whistle, button accordion, and bodhran. Equally at home before a concert crowd of thousands (Buffalo Irish Festival, Lake Ontario Concerts By The Shore) or in the closeness of a pub venue (The Shannon Poconos, Keenan's of Rochester), Peg is in demand for all types of occasions - large, small, and in-between.As a recording artist, Peg has several well-received albums to her credit, and enjoys air play on The Irish Party House (WWWG, Rochester) as well as other stations and public radio. Her albums can be found in many music and gift stores throughout upstate New York. Peg's new CD "Irish Pub Crawl" can be played on all AMI and TouchTunes Jukeboxes. "Shipwrecks of the Thousand Islands" video. Independent Radio Stations that play Peg's CDS Every Day. This Folk Music Web Ring site is owned by Peg Dolan.